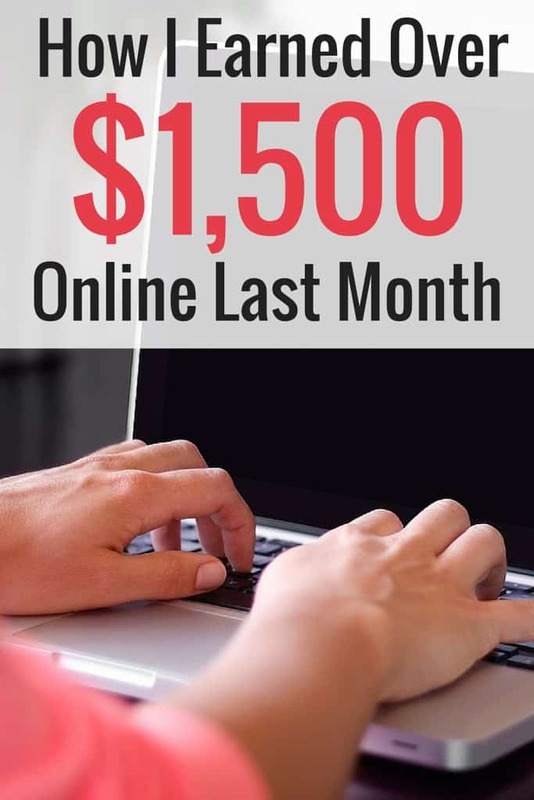 September was another amazing month for earning online income. This was my best month ever, which is something I feel like I have been saying every month. I can't believe my income continues to increase and I'm excited to share what's working for me. As I mentioned last month, I renamed this report to my monthly online income report. Originally these monthly posts started off as solely blog income report, but now that I ready to freelance full time, it makes more sense to change the title. This is my seventh online income report to share! This report only includes income I received from the month of September. I don’t include any money that is pending. If the money isn’t in my bank account, it doesn’t make it in this report. To recap, making money from my blog has been a slow, but steady one. I started blogging a year ago, but didn’t get serious about my blog until January of this year. I made the smart decision to stop treating this blog like a hobby and turn it into a business. Some of the changes I made was to become more socially active online. I joined Twitter, signed up with Pinterest and started reaching out to other bloggers. I committed to write regularly, improve my photos and have better content. Notice how there is a jump in my income? That's no coincidence. While it’s been months in the making, I announced on this blog a few months ago that I planned to transition from full time employee to full time freelancer. I was no longer satisfied at my job and it was time to make the switch. Since I made money freelancing in July and in August, I decided I would document and post everything on this blog. As I already mentioned, September was my best month yet! Are you sitting down? Can you believe this? I knew I was having a great month, but this is amazing for me. I worked really, really hard in September. When I wasn't at my full time job, I was freelancing at all hours of the day. I definitely didn't get enough sleep. It was tough, I was tired, but seeing this number makes it all worth it! This amount is the grand total and before I deduct taxes. Right now I am putting away 30% of each paycheck I earn. Ebates – Hello, free money when you shop online! I always go to this website first when I am shopping online as they list every retail shop on their website. Once I click through and make a purchase, Ebates pays me a percentage of real cash back on my purchases. This goes directly into my PayPal account. Get $10 off your first purchase of $25 using this link. Ibotta – It's another free cell phone app. You use it after you go grocery shopping and use your receipt. It's basically a rebate app, so you can earn anywhere from 50 cents to $5 off everything you buy. Bluehost – If you want to start a blog, Bluehost is the site I use to run Believe In A Budget. Pinterest management, photo packages and consulting are all different services I offer on my Hire Me page. I absolutely love this aspect to blogging. While many people excel at writing, I do well with images and pictures. I love connecting with bloggers and companies who need help with creating photos for new blog posts or updating old photos for previously published content. I also provide basic consulting services for people who have no idea how to utilize Pinterest. This niche has opened a lot of doors for me and I couldn't be more thrilled with the response. If you need help in these areas, please contact me! I'd love to chat and see how I can help! I am also providing consulting services related to my career niche. When I decided to leave my full time job, I was determined to find a location independent job. I absolutely love my day job career and was determined to somehow stay in the field. I knew it was possible, but really had to scour the internet to see what was out there. To get to this point, I did a lot of digging and even wrote a post about all the different job boards I found. The job boards I searched included a huge array of career fields, so I think it’s possible to find almost any job online these days. You don't have to be a writer to do well freelancing or helping bloggers. Do you specialize in spreadsheets and accounting? There's probably a business out there that needs your help. Are you great at creating newsletters? There are bloggers that have no idea how to set this up. What I am getting at is there are jobs out there that some bloggers don't even realize they need! Change things up, be different and go after what you are good at. This helps you stand out and get noticed! Get excited because I received my first check from Google Adsense. That was the hardest $104.14 check I've ever worked for, ha! It took me months to earn this first check and I couldn't be happier. I nixed a couple expenses. Although small, I managed to shave around $14 off my monthly expenses from the previous month. I made the decision to stop paying for a couple of apps I was using. I thought I needed these programs to succeed and it turns out my business is still doing fine without them. This reduction in expenses will save me around $168 a year! Because I am still a DIY blogger, meaning I can't afford to outsource much, every penny counts. This money can go towards a number of things, such as VA help from Fiverr, marketing or who knows what! I now use Tailwind for all my pinning, but forgot to cancel my Board Booster membership hence the $5 charge. I paid for a yearly subscription to Tailwind that features unlimited Pinterest pinning and it's a crazy better deal than Board Booster. I am really excited to see where October takes me. October will be a crazy month anyways as I will be leaving my full time job, moving across the country and starting my freelance career. I hope you plan to continue with me on this journey and see where it takes me! What are your freelancing specialties? What would you like to do? Wow freelancing is doing you right! How many hours a week would you say you spend on freelancing stuff? Congrats by the way. I love how you quit your job. I will do that someday, but Im not ready.